To understand why this occurs, you’ll need to understand what’s happening during the whole hair lightening process. To lift dark hair, bleaching with a mix of ammonia and peroxide is usually a necessary part of the equation. When hair is bleached, melanin, a dark brown to black pigment, gets diluted in a process known as oxidation. After bleaching, the next step is usually to apply your haircolor, which deposits artificial pigment onto your locks while removing some of your natural color. Select a cool haircolor, like one with the word “ash” in the name, since it’s less likely to turn brassy than one that’s warm. If you gravitate toward warmer shades, don’t worry; there are plenty of lighter haircolors you can pull off that have a good balance of cool tones. Need a place to start? Redken’s new Color Fusion Cool Fashion Collection contains 14 haircolors, including shades of blonde that are meant to provide cooler results and will counteract brassiness. Using C-Lock technology, the collection has larger dye molecules so cool tones stays in place for up to 8 weeks, and the haircolors all have a black-to-gray background so that warm tones are less noticeable. Toner, a translucent deposit of haircolor that fades in a few weeks, isn’t just great for altering your haircolor without the commitment. It can be a great brassy hair fix, too. Also known as demi-permanent color, glaze or gloss, toning can correct the unwanted yellow, orange or even red tones lingering on your hair since it contains just enough pigment to improve your haircolor. Plus, the service will enhance the shine levels of your strands in the process, so you’ll be doing your hair multiple favors in just one sitting. Redken’s Shades EQ service, which can be used as a toner for brassy hair, does all of the above and raises the hair cuticle, giving hair volume and texture and improving manageability in the process. Plus, the toning service can take as little as 20 minutes. Just remember that a hair gloss yields only temporary results. The good news is you won’t have to deal with that obvious growing out period situation with your roots like you might have to deal with if you decide to color your hair all over again. 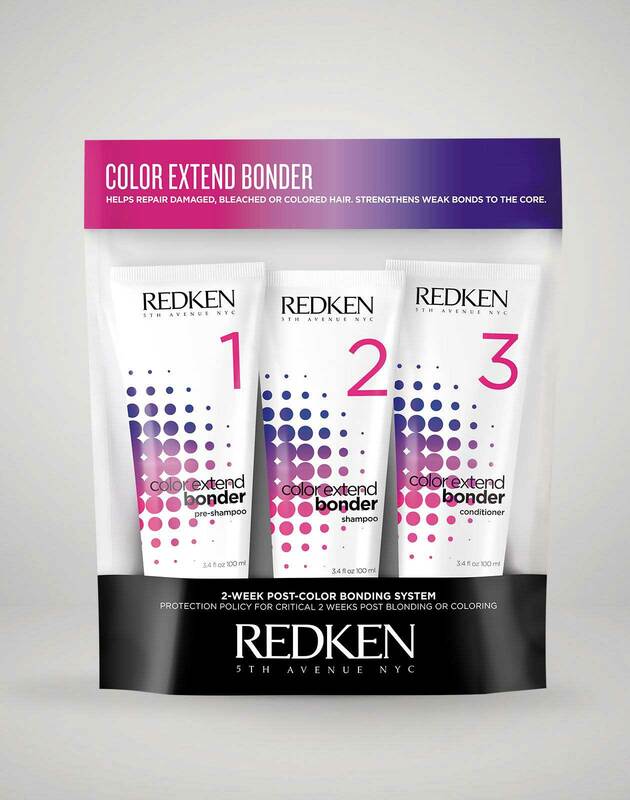 Since healthy hair is less likely to turn brassy, add in a bond-protecting service, like Redken’s pH-Bonder, during the bleaching or haircoloring process, to protect your hair from damage and strengthen your strands. Need an at-home brassy hair fix? If you’re blonde, go for a purple shampoo like Redken's Color Extend Blondage, and if you’re brunette, go for a blue-tinted one, since yellow is opposite to purple and orange is opposite to blue on the color wheel. We know, we know: how can you say no to the pool and soaking up some rays? But if you want your haircolor to stay put, it’s best to stay away. The chlorine commonly found in swimming pools can strip your hair dry, leaving your locks dull and damage-prone. And when hair becomes damaged, your haircolor will have a harder time staying in place, meaning more opportunities for brassy haircolor to show up. Sun exposure can also do a number on your haircolor by making it fade faster and making brassiness more visible. So the next time you go outside, make sure you cover up or use a hair sunscreen. Since overusing a color-depositing hair product may end up turning your hair blue or purple, only use it once a week. 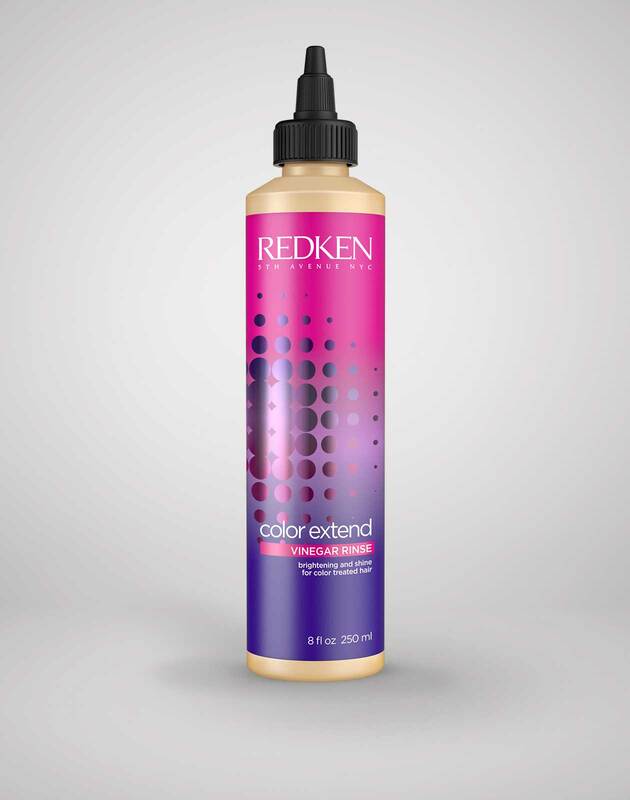 The rest of the time, apply color-protecting hair products, like Redken Color Extend Magnetics Shampoo, since they’re gentler than regular shampoo and tend to not include sulfate, which can fade haircolor. Washing your hair with water that leaves a large amount of mineral deposits, including chlorine and iron, is bad news for colored hair since the buildup is drying and the chemicals could end up fading your haircolor, leading to another opportunity for brassy hair to reveal itself. A shower filter can help cut down on the mineral deposits, so your haircolor stays around for longer. Need some cool-toned haircolor inspiration? Browse through @Redken on Instagram for a picture to show your hairstylist.